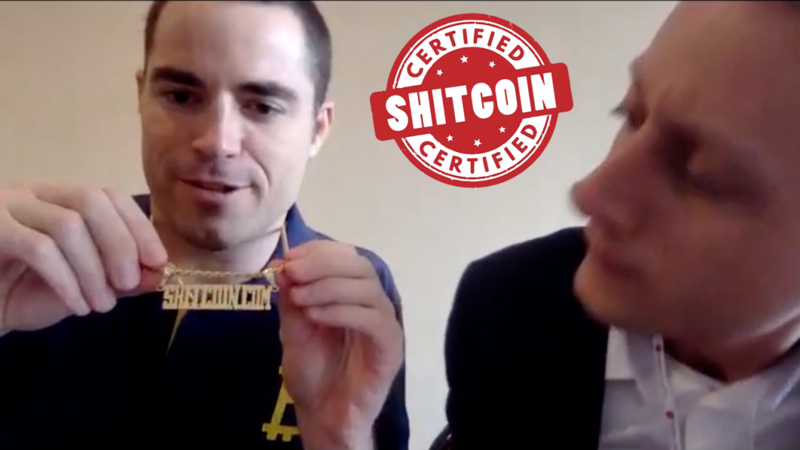 This week Andreas and Blake hosted Roger Ver for an exclusive pre-fork episode of Shitcoin TV. 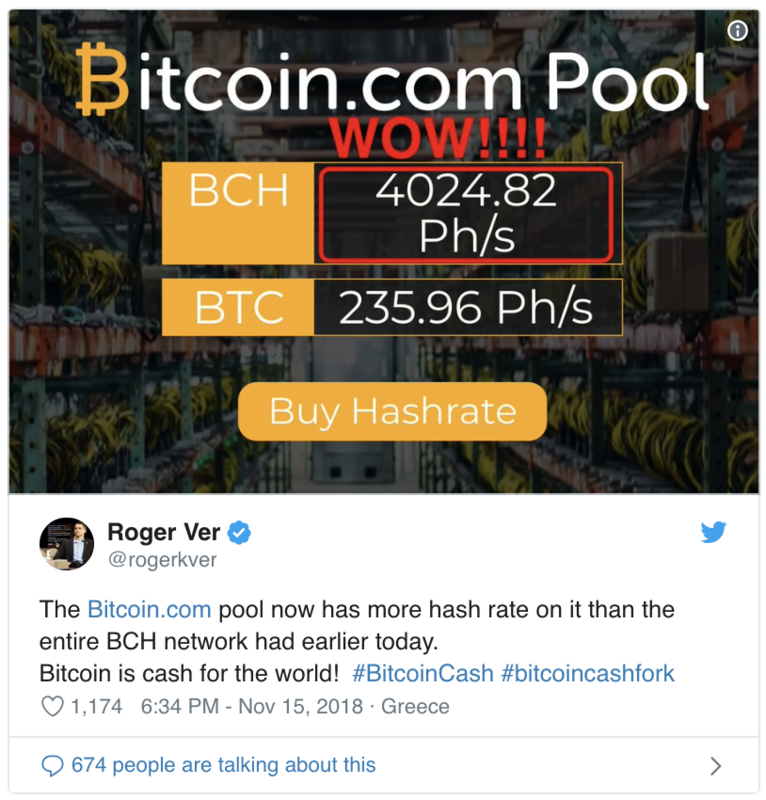 If you want to know some juicy BCH fork shenanigans and see Roger donning the Shitcoin.com swag, give it a watch (oh, and hit that subscribe button too). It is that very fork that is the centrepiece of the newsletter today with random offshoots to interesting stories as we go. As expected the memes were flying and popcorn was being prepared. 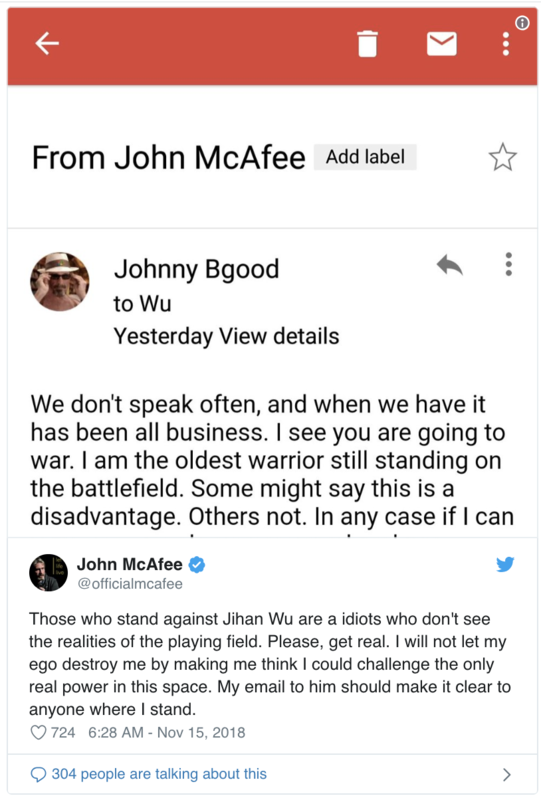 In one camp, Bitcoin SV, we have a waffling buffoon and gaming billionaire while in the other, Bitcoin ABC, there is the first investor in Bitcoin startups and a pretty well known Chinese miner and a benevolent dictator leading its charge. Battle lines were drawn and allegiances were declared. We were tracking the action all day. 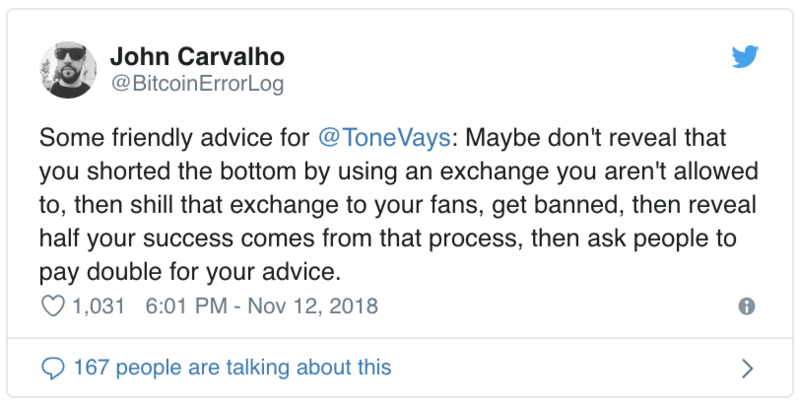 Numerous livestreams popped up from Tone Vays (more on him later) and the Bitcoin SV crowd. However the stand out stream of the day came from our good friends at CoinSpice. 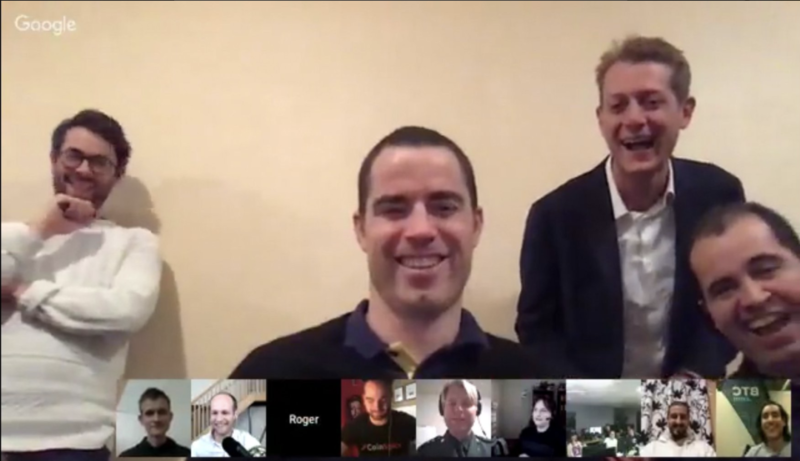 They were on air for over 12 hours and in that time hosted Roger Ver, Ryan X Charles, our very own CEO Andreas Brekken. Even Vitalik Buterin popped in to say hello. It's a long one, but a great watch. Feel free to check it out here or by clicking below. So how did it play out? 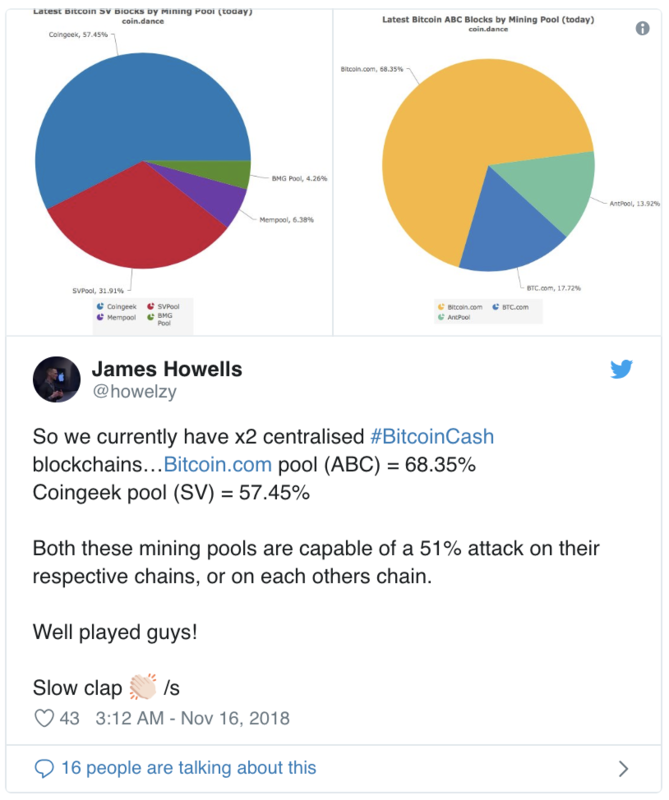 Well in the lead up to the fork, Bitcoin SV were "flexing" and dominating hashrate on Bitcoin Cash. As many suspected though, ABC had something up their sleeve when it mattered. 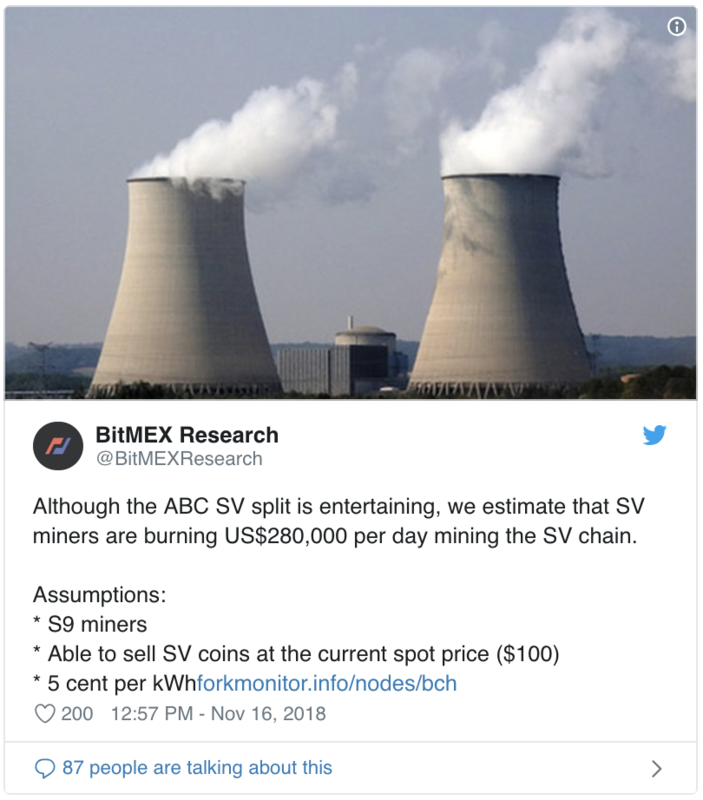 The ABC hands were kept close to their chest during the build up, but when the action came to a head Bitcoin.com and Bitmain pulled through to dominate SV and Coingeek. The result? As predicted two coins. 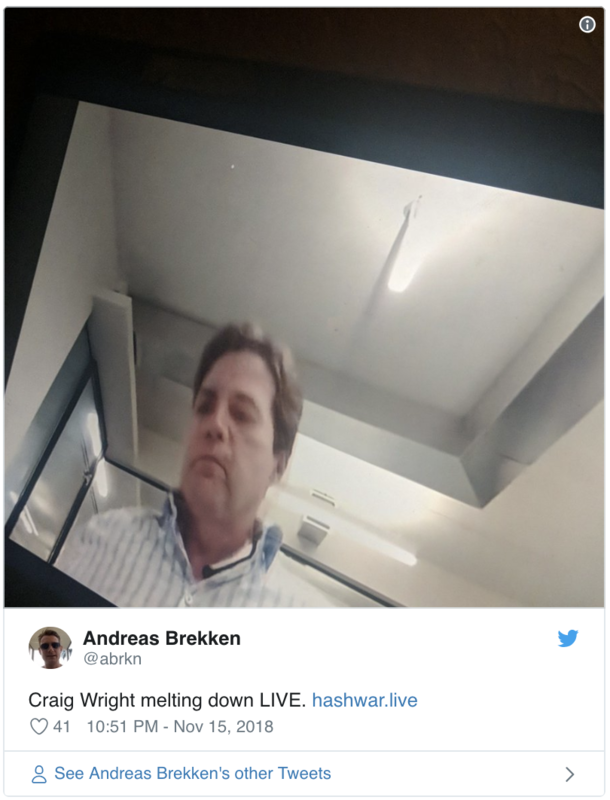 CSW seemed to be melting as he digested the whole debacle. Parody accounts suggested he didn't take well at all. In an interesting result we've ended up with two coins vying for the title of Bitcoin Cash. 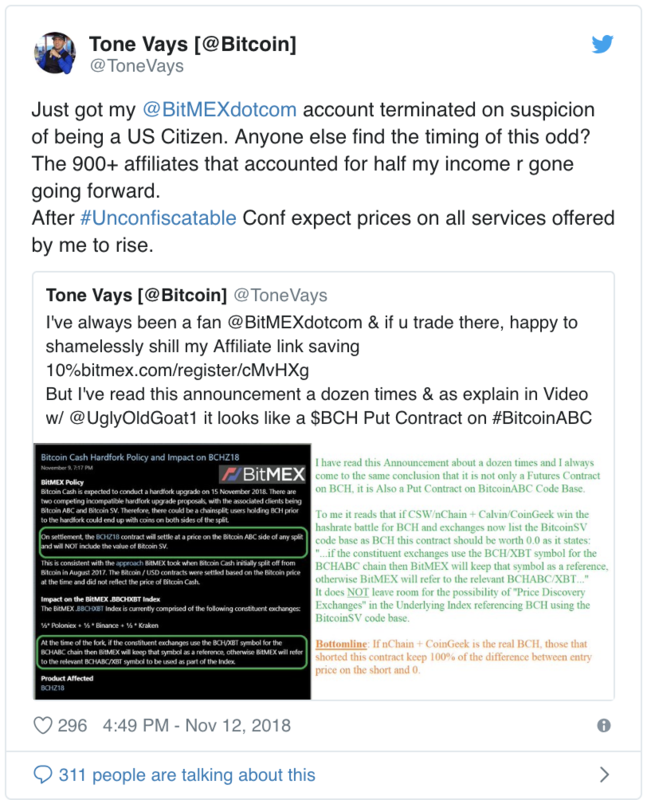 Some exchanges have jumped the gun and declared BCHABC and BCHSV the tickers much to the dismay of many in the BCH community. It remains to be seen how this plays out. CZ has taken a strong stance from the offset. Despite those big bags he probably holds, maybe the bear market is impacting him too and he's getting a little salty? The fact he now travels on wagecuck transport suggests this is a possibility. 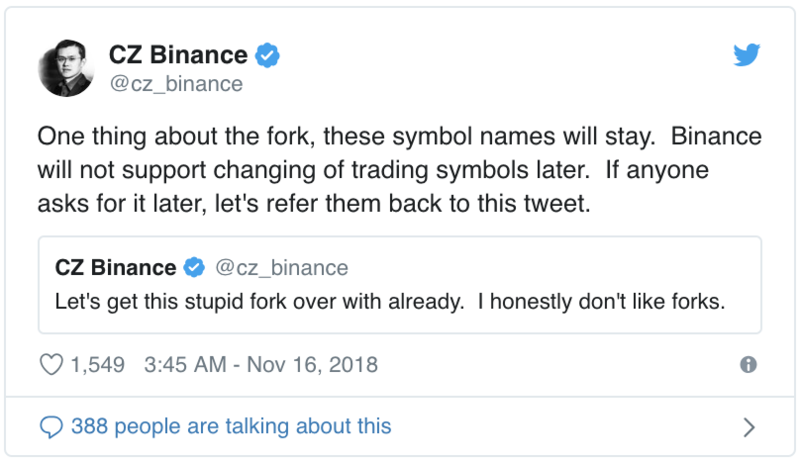 One man watching the fork closely was Tone Vays. 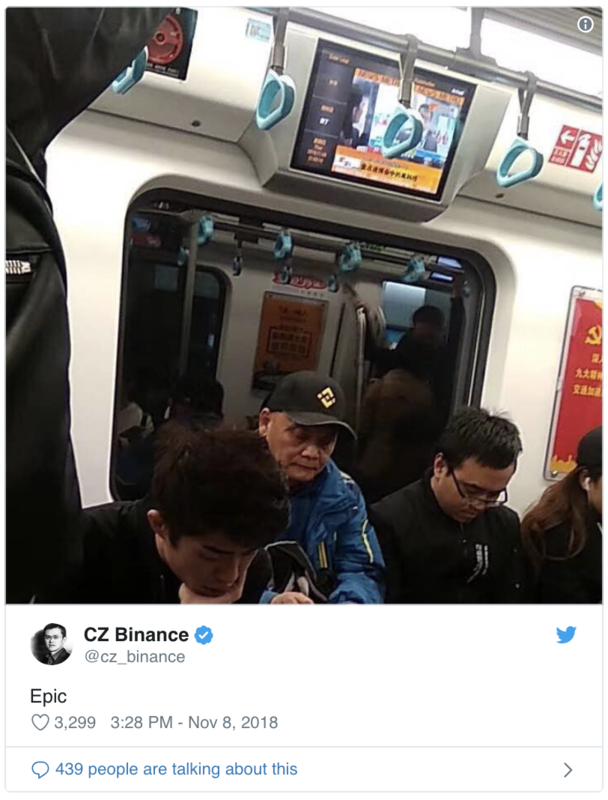 When he's not trading (which is pretty much all of the time) he's livestreaming or forcing sub-par trading tips onto unsuspecting crypto newcomers. He smelt an opportunity for weak commentary with this fork and jumped to youtube to livestream. He might have needed the extra boost, as he hadn't had a good week until that point. 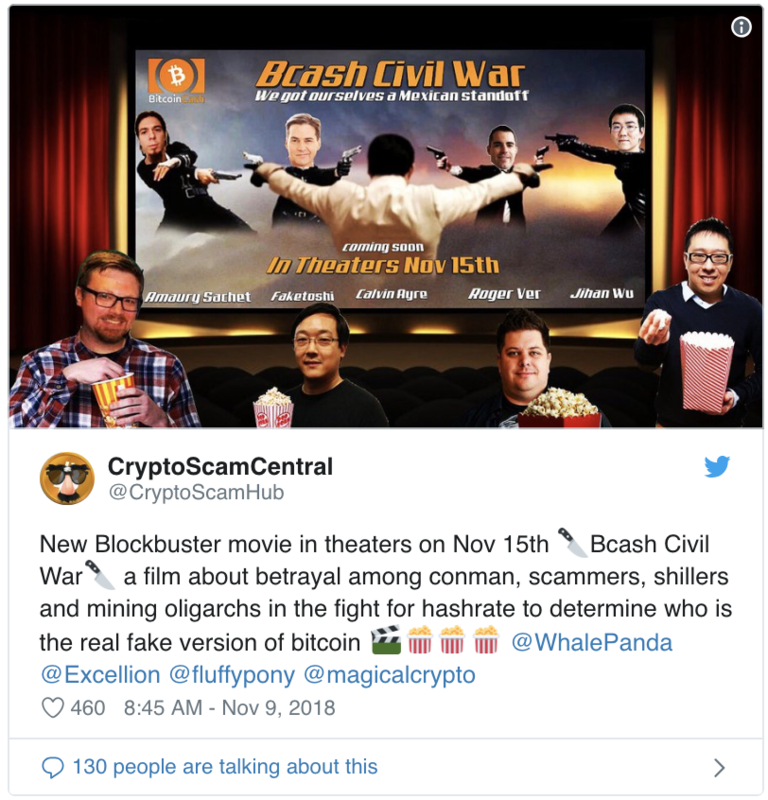 We would like to re-direct you this point to the latest episode on Shitcoin TV. If you haven't watched it yet, we roast Tone a little. It was fun. Once again another spicy week in the world of crypto. We will keep you updated with developments on the hard fork as things become clearer. One thing's for sure, we hope Calvin's pockets really are as deep as many would suggest. As this may be costly for him.